K.S. Manilal first chanced upon the 'Hortus Malabaricus' in his father’s clippings from Malayalam newspapers of the 1950s, when he was still in school. Some books just get under your skin. Like flagposts, they could draw and guide you at different points of your life. Others, especially religious works, lay the tracks on which lives run. Then there are a few that make you fall hopelessly in love with them because they approximate human infatuation, drawing you in at one moment, mystifying you at others, frustrating and delighting you. But they grow on you, so entwining themselves with your life that at some point it becomes impossible to separate the strands. 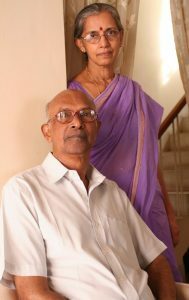 For Kattungal Subramaniam Manilal, a retired professor of botany at the University of Calicut, the love started early. It was an oddly matched couple – a tall, reserved, bespectacled man and Hortus Malabaricus, an elaborately illustrated 17th-century Latin book on the trees and plants of the Malabar region of Kerala. It defined Manilal’s life and career; he would update and translate this mammoth 2,400-page, 12-volume work into English, revealing it to be one of the finest collaborations between east and west. The task was mind-boggling. Each of the 742 plants mentioned in Hortus had to be tracked down to the areas they were originally collected from over 300 years ago, and then identified anew because modern taxonomic classification has changed significantly in this period. It showed a book that went far beyond plants, to shed light on the society, culture, science and language of its time. Now 80 and having suffered a stroke, Manilal remembers little, but signs of Hortus Malabaricus are strewn liberally over more than 50 years of his life. There are half a dozen books he wrote, many more papers and the recollections of colleagues, students and his wife, Jyotsna, who says that for a man “so reticent that often she did not know what he felt”, the Hortus was a “passion”. Manilal first chanced upon this remarkable book in his father’s clippings from Malayalam newspapers of the 1950s, when he was still in school. Much later, as a postgraduate student of botany, he visited the Forest Research Institute in Dehradun, which had a complete set of the original volume of the book. He says it “fired (his) imagination” to find a 300-year-old Latin book of botany with names in Malayalam. He spent four days poring over the volumes and made a list of all the Malayalam names. Though he couldn’t understand the Latin text, one line from the description of a plant caught his attention. “The plant’s part,” it read translated, “if applied on the left toe improves the clarity of vision in the right eye.” The medicinal properties of the plant were known but how on Earth was the connection between the left toe and the right eye established? At that moment, Manilal knew that he had to know what the rest of the book held. The Hortus Malabaricus was the brainchild of Hendrik Adriaan Van Rheede Tot Drakenstein (Van Rheede), an aristocrat and soldier in the Dutch East India Company who rose rapidly through the ranks to become the Dutch Governor of Cochin in 1663. For the Dutch and the Portuguese, Malabar was a land of abundance – of wood, spices and medicinal plants. For centuries the trade in these commodities had been controlled by Arab merchants who later introduced them to the West. Van Rheede’s motivations for a work cataloging the plants of the region were varied. One was economic: Arab traders sourced the ingredients for the medicines his soldiers needed from the Malabar, sold them in the West, from where the Dutch would have to import them at great expense. Procuring the medicinal plants and manufacturing medicines locally could save a lot of money. After I had been with the Indians for a considerable number of years and on account of my office fairly often had to make journeys through very well-cultivated regions, on the way I observed large, lofty and dense forests. I saw that they were pleasing through the marvelous variety of trees, which was so great that it would be difficult to find two trees of the same kind in the same forest if one were to search for this. I rather frequently saw many ivies of various kinds climbing to one tree and moreover shooting up in the very branches of trees…so that it was often very pleasant to see on one tree displayed leaves, flowers, and fruits of ten or twelve different kinds. The last reason was political. His superior, Admiral Rijcklof Volckertsz van Goens, was keen on making Colombo the second eastern capital of the Dutch, after Jakarta. Van Rheede was staunchly opposed to this. Documenting the medicine, food and timber riches of the Malabar would – he hoped – convince authorities in The Hague to make Cochin the second capital instead. Work on the Hortus began in 1663, and continued for the next 30 years. The first volume of the book was published in Amsterdam in 1678, a few years after Van Rheede left India, and the final in 1693, two years after his death on board a ship off the coast of Bombay. Material for the book was first written in Portuguese in Cochin, then translated to the Dutch and finally to Latin in Amsterdam. When he first started work on the Hortus Malabaricus in 1964, almost exactly three centuries after Van Rheede had, Manilal knew that Latin would be his first hurdle. Manilal enlisted the help of a local priest who, starting with the line on the connection between the left toe and the right eye, translated small segments of the work. However, to proceed further, Manilal realised he would need to learn the language. Every month he would travel to Kochi for a few days to learn the language from another priest. But even after he became somewhat familiar, he realised that the Hortus was even more difficult and technical. Each volume, Manilal says, took him three to four years. “Now I look back and wonder how I did it,” he was quoted as saying a few years ago. But then the language also turned out to be the easiest part. 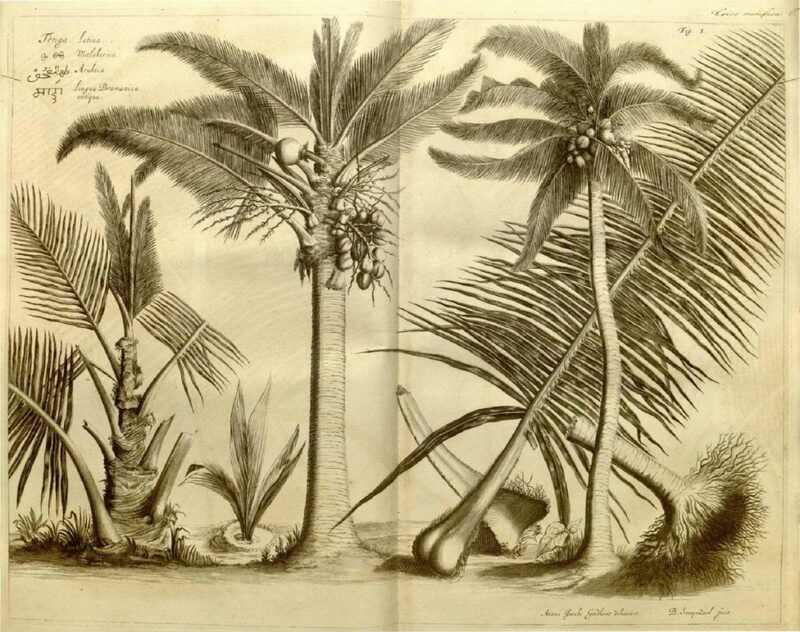 The botanical samples documented in the Hortus Malabaricus were collected by Van Rheede on his travels in the region. Plants around Cochin were easily collected but for those found elsewhere, Van Rheede writes they often had to “wait a whole year, and sometimes even longer, until we could secure one of their flowers or fruits.” When travelling by water to the interiors “to rebuke … some Malabar prince or other”, Van Rheede would often order a party of 200 men to leave the ship and wander through the forest collecting as many different plants as they could find. They would return “laden with plants collected from here, there and everywhere, to (the) warships”. Manilal had to follow in Van Rheede’s footsteps quite literally, tracking down and collecting botanical samples from the locales mentioned in the Hortus. This was because the Hortus Malabaricus was written before Carl Linnaeus’s famous work Species Plantarum, in which the Swedish botanist first laid down the rules that form the basis of modern taxonomy. Botanical classification before that was whimsical and ad hoc, varying between authors. As a result plants, had multiple names, often long and convoluted. If Hortus Malabaricus was to be relevant, all the plants it featured would have to be classified according to the modern International Code of Botanical Nomenclature. Either Van Rheede’s original collection, which he had shipped to Amsterdam, would have to be accessed, failing which the plants would have to be re-collected with the help of clues from the Hortus. The original collection seemed to have vanished. Manilal made efforts to hunt it down, even going to Moscow at one point after a rumour that it might be there. He couldn’t succeed. Manilal decided to hunt down the plants, scouring Hortus for every possible clue to their location and appearance. It was going to be a time consuming and expensive process, so he applied for grants. The University Grants Commission (1975-1978) and the Smithsonian Institution (1984-1987) agreed to fund the project. To help with the collection Manilal roped in C.R. Suresh, a student of his who was studying plant morphology. They managed to track down 741 plants. That was all but one of the plants mentioned in Hortus. The first obstacle to this was pinning down the original locations. Place names had changed over the centuries. Other names were garbled in the tortuous translation from Malayalam to Portuguese, Dutch and then to Latin. In many cases, plants couldn’t be found in the original locations so the team had to scout farther afield. At times the work was laborious. Getting fruits and flowers from plants would often require repeat visits at different times of the year. Suresh recounts instances on such trips when they were unable to locate the same plant, which meant they would have to start anew with another specimen. Then came the equally arduous process of identification, which involved extensive consultations with botanists around the world, and trips to labs and collections abroad. Manilal would use occasional travel to conferences abroad to sneak visits to them. By 1988, the work was complete. In that year, Manilal, Suresh and Dan Nicolson of the Smithsonian Institution published a book entitled ‘An Interpretation of Van Rheede’s Hortus Malabaricus’, listing all the plants collected by Van Rheede in modern nomenclature. For most people, this is where it would have ended. Manilal had a full-time job at the University of Calicut with teaching responsibilities, and continued to work in other areas. At the time of a controversy about the proposed construction of a hydro-electric project in the Silent Valley, the Kerala government commissioned Manilal to undertake a four-year study of the area’s flora. His team recorded 1,000 species of flowering plants of which seven were new and others that were endangered. He also worked extensively on the orchids of Kerala, collecting over 215 species, led studies on the anatomy of cash crops like coconut palm and coffee, and researched species of marine algae that were resistant to radioactivity. But in every spare moment and interstice, he would return to his first love, because for him things were just beginning to get interesting. Other books had been written on the flora of India – but what distinguished Hortus Malabaricus was its emphasis on, and acknowledgement of, local knowledge. While Van Rheede was responsible for collecting the botanical samples, Itty Achuden, chief of the Collatt family of traditional physicians, identified them and listed their medical and agricultural uses. Achuden’s role in the Hortus Malabaricus is mentioned prominently, affirmed in two certificates at the very start. Interestingly, even though he belonged to the lower Ezhava (labour) caste, Achuden had been recommended for the task by Vir Kerala Varma, the king of Cochin. Three Konkani Brahmins, whose roles have also been acknowledged in the book, worked under him. Achuden was far more knowledgeable about the local plants than the Brahmins, whose knowledge was largely restricted to providing information from their traditional text, Mahanighandu, a pharmacological glossary that lists 400 medicinal plants from different parts of India in Sanskrit. Manilal was fascinated by this deference to knowledge over caste. None of the traditional medical texts of Achuden’s family are extant. Nor, Manilal realised, was there any mention of him elsewhere. The Hortus was the only remaining repository of this knowledge. And of the plants mentioned in it, the medical uses of 139 weren’t to be found in any other text. Had it not been for Achuden’s contribution, the significance would have been lost to the world. For Manilal, cataloguing these medical properties and uses was imperative to protecting India’s intellectual property, which, according to Jyotsna Manilal, he felt strongly about. As Manilal delved deeper into Achuden’s life, he was also drawn into an exploration of this historical interaction between caste and knowledge, which seemed to stand in sharp contrast to the modern terms of their relationship. He explored this in ‘A Study on the Role of Itty Achuden in the Compilation of Hortus Malabaricus’, a Malayalam book published in 1996. Every aspect of the Hortus Malabaricus led the besotted Manilal down a different path. The juxtaposition of two different dialects of Malayalam in Hortus – one of which is not used today – became an opportunity to investigate the evolution of Malayalam as well. He explored the considerable impact the book had on Linnaeus; Species Plantarum has more than 250 references to it. Manilal even investigated the identify of the artist who made the frontispiece of the original volume that depicted Flora, the Roman goddess of flowers, sitting and holding a rake in front of what seems like a very ornate greenhouse. To her right, holding various plants, stand the Malabari physician and the three Konkani Brahmins who were so central to this book. 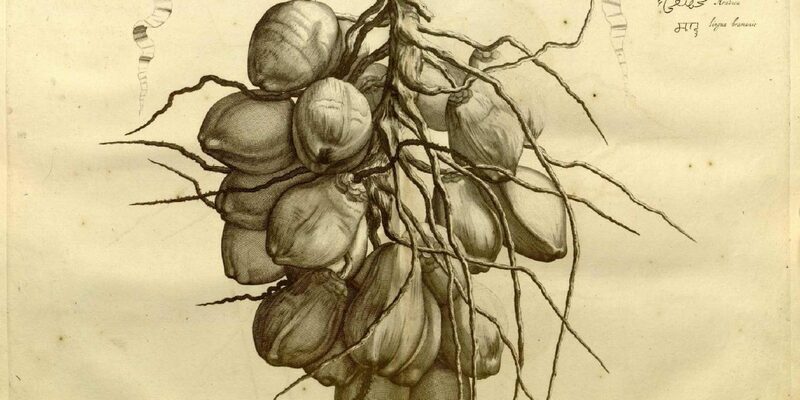 In Manilal’s reimagining, the botany of Hortus Malabaricus was inextricably entwined with the eventful historical period it belonged to. He made these connections come alive. After he retired from academia in 1999, Manilal devoted himself entirely to the Hortus, the English version of which was released in 2003. He had signed off his copyright to the University of Calicut, which, in an act of cruel and petty politicking, did not invite him to the book release. But he was undeterred and continued working. According to Jyotsna, “He never really said very much about it.” The Malayalam edition followed a few years later. In 2006, Manilal suffered a stroke, leading to the loss of mobility on his right side. But he was not done yet; his work on the Hortus Malabaricus was far from complete. He taught himself to type with only his left hand to complete his last book: ‘Hortus Malabaricus and the Socio-Cultural Heritage of India’. It was published in 2012, the same year Queen Beatrix of the Netherlands conferred a state honour on him for his work on the Hortus. 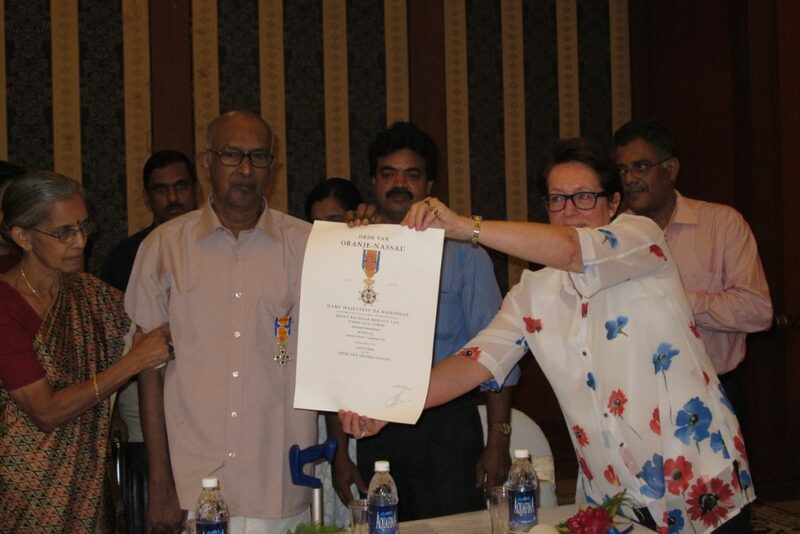 Sadly, there has been little recognition in India of his work – not that Manilal cares. The Hortus Malabaricus was his first love, mission and crowning glory. And love is often its own reward. Akshai Jain is a Delhi-based journalist.